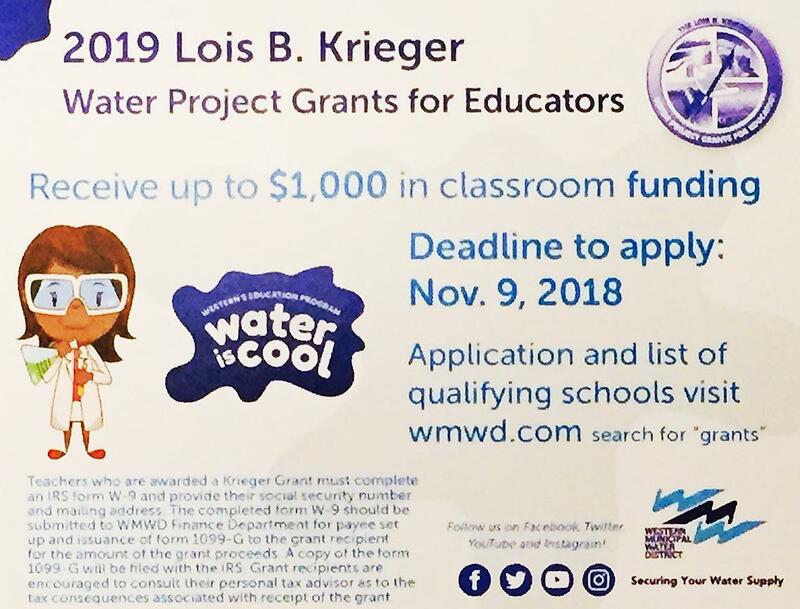 Teacher Grant Available, Apply Now! Western MWD water ed. grant now being accepted through Nov. 9, act now! You are not seeing double—two separate teacher grants are listed below, so check out their requirements and deadlines—best of luck with your classroom entries! EXPIRED! skip to Grant Opportunity #2 below! For questions and inquiries regarding the Lois B. Krieger Grant only, contact Liselle DeGrave at (email: liselle@degravepr.com).